Upper respiratory symptoms that accompany many cold and flu strains can range from slightly annoying to downright miserable. While antibiotics are not given for every sniffle, many other over the counter (OTC) drugs and antiviral medications are used to control and combat the symptoms. With growing concerns regarding safety and actual effectiveness, many are searching for other options, often looking back historically to more natural remedies. Traditionally. the berries of the black elder plant (Sambucus nigra) have been touted for use in treating cold and flu symptoms. Research shows that supplementation with elderberry is indeed a viable treatment with many natural benefits. The naturally occurring pigments in elderberries can be detected in blood plasma of individuals who have ingested the berries and have been shown to boost immune function as well as anti-viral effects. A study published in February of 2019, Complementary Therapies in Medicine, evaluated a number of small studies in a meta-analysis in order to better measure the effects of elderberry supplementation. The four studies relied on a self-reporting instrument to document and quantify upper respiratory symptoms such as fever and sinus congestion. Symptoms were documented at baseline and a minimum of once per day while symptomatic. Additionally, one study (Tiralongo) also utilized the Jackson scale in order to distinguish symptoms from a common cold compared to other causes. In total, the meta-analysis looked at 89 participants who received elderberry supplementation and 91 who were in the control groups. Three studies examined verified influenza cases or cases with symptoms “consistent” with influenza. The fourth study examined the effects of elderberry on upper respiratory symptoms associated with the common cold. Results reveal that elderberry supplementation can have a significant reduction in the duration of upper respiratory symptoms due to both the common cold and influenza. Further, it appeared to be MORE effective and reducing duration and severity of symptoms due to influenza. One study published in The Journal of Alternative and Complementary Medicine reported “over 93% of patients treated with [a standardized elderberry extract] saw significant improvement of the symptoms, including fever” in only 2 days. In contrast, 91% of the control group experienced improvement within 6 days. Only two of the studies included participants who had received a flu vaccination. The effects of elderberry supplementation did not appear to be significantly altered by vaccination status. All of the studies reported usage of standardized, commercially available, elderberry extract. No gastric issues were reported in these studies. However, caution should be used if one chooses to utilize home prepared products. 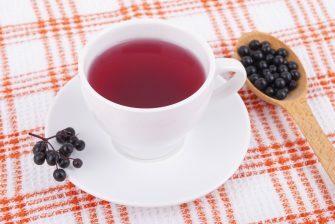 While each of the studies was small, the consistency of results led researchers to conclude “supplementation with a standardized elderberry extract is significantly effective at reducing the total duration and severity of upper respiratory symptoms.” They further assert that while the effect is larger among patients with influenza, all patients experience a reduction in symptoms regardless of the underlying cause. For those with upper respiratory symptoms due to viral infections, the authors’ findings show the benefits of using elderberry supplementation as an alternate approach that could reduce antibiotic misuse, and in routine cold and flu cases, serve as a potentially safer alternative to prescription drugs. The cold and flu season can be a frustrating time. From the annoyance of minor symptoms to the more serious potential complications, the search for relief is widespread. Of course, no one treatment will be right for everyone. Talk to your doctor of chiropractic at your next appointment about how proper nutrition, with supplements such as black elderberry when needed, can be a part of your wellness routine. The adage that it’s easier to stay well than to cure illness is true. Regular chiropractic care, sufficient rest, proper nutrition and basic precautions such as regular handwashing can help you and your family get through the season with less worry and more wellness. If you don’t have a doctor of chiropractic, you can find one near you at https://www.tnchiro.com/find-a-doctor/ . Tiralongo E, Wee SS, Lea RA. Elderberry Supplementation Reduces Cold Duration and Symptoms in Air-Travellers: A Randomized, Double-Blind Placebo-Controlled Clinical Trial. Nutrients, 2016, 8, 182.